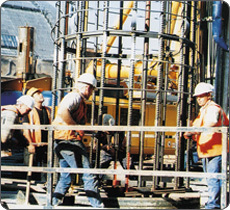 ROMTECH is one of the UK’s premier supplier of pile reinforcement. 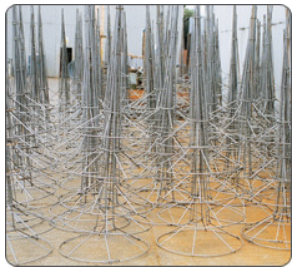 All factory prefabricated pile cages conform to UK CARES Assessment Schedule 10 by which we mean that we design the fillet welds between bands and cage rebars to give an acceptable factor of safety for cage lifting and installation. All factory tack welds comply with UK CARES Assessment Schedule 6 ensuring against rebar embrittlement so reducing site liability during pile trimming. 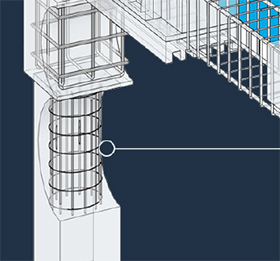 ROMTECH produces CAD drawings of rebar cages prior to contracts starting. This enables prior approval of the actual cage to be used, as well as being a works instruction, a site inspection instruction and finally an ‘as-built’ record of the steel components within the pile. We at ROMTECH are used to working between the late arrival of design information and the unremitting deadline of imminent cage delivery. Whichever ROMTECH product option is selected, our aims are to ensure product compliance with the latest Health and Safety Legislation, high site productivity and freedom from metallurgical defects; the whole package presenting itself as a cost-effective solution. ROMTECH is well-versed and experienced at operating within such a demanding environment. 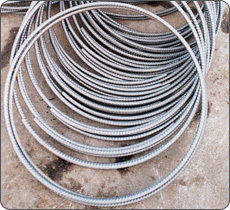 We offer ‘one-stop’ shopping for all your existing pile reinforcement needs.